Telsec Office Business Centres Inc is currently upgrading their Toronto office space infrastructure to better the needs of current and future clients. These changes will not only allow for faster Internet, but they also will allow Telsec to offer its clients various Internet options including private t1 connections and other services. The infrastructure of your Toronto office space is key to the success of your business. Not improving it will cause your company to fall back in terms of technology and cost more to fix or upgrade when your current technology fails. Telsec realizes this and keeps long term plans for continuous upgrades on track, even in tough economic times. This is why many clients choose to stay and grow with Telsec. 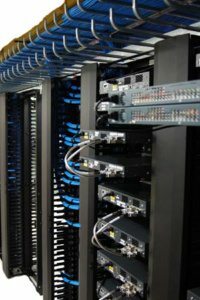 When you rent an office space Toronto at a Telsec office business centre, you do not have to worry about keeping your office infrastructure up to date, they take care of it for you. Telsec will also be not only be making other upgrades to its office infrastructure, but will also be making upgrades to other services that it offers its clients. Even the website and blog will be getting upgrades and changes that will not only help future clients learn more about Telsec, but also to help existing clients in terms of ordering services and networking. Even this blog will be changing direction, to better serve companies with tips and tricks to making their Toronto office space work better for them. Keep watching this blog as more details of the upgrades at Telsec are announced, including the new Intranet being developed for the exclusive use of Telsec office space Toronto and Toronto virtual office client.